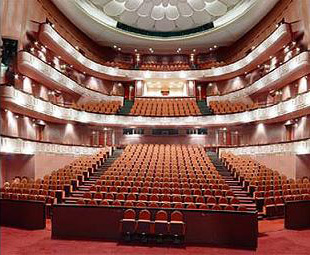 National Cultural Center - Egyptian Opera House Was opened by Mr. Mohamed Hosni Mubarak, President of the Republic of Egyptian Opera House in the new Congress of October 1988, after an absence of seventeen years, since the combustion of the Old Opera House in 1971. 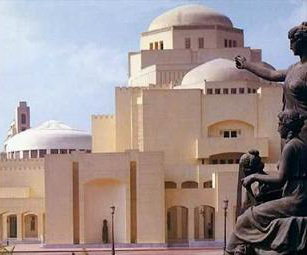 The Egyptian Opera House new "National Cultural Center" is one of the symbols of Egyptian-Japanese cooperation, which reflect the depth of the ties of friendship between the Egyptian and Japanese peoples. 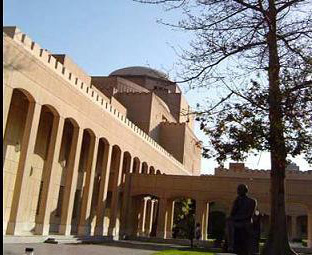 The body of Japanese global cooperation (JICA) in coordination with the Egyptian Ministry of Culture has been agreed to design compatible with the surrounding buildings of the house and design characterized the modern Islamic architectural character. The construction area of 22772 square metres while the building itself is located on an area of 13855 square metres including 42 metres at a maximum allowed distinguish this site which is located in the southern part of the island and the abundance of Nile water in this region and the large trees in the garden surrounding the venue for this to be a natural content Excellent new Opera House Qal'at Salah al-Din in Cairo, Egypt. Built in the period 1176 to 1183, using prisoners of Norman. Added to the Muhammad Ali mosque. The headquarters for the rule of Egypt since the days of Salah al-Din (1183) until the transfer of Khedive Ismail government headquarters to Abdeen Palace, which was built for this purpose in the 1860 contract. Qal'at Salah al-Din is located in the neighborhood "fortress" - the successor - has been erected on one of the hills separate from Mount Mukattam on the outskirts of the city of Cairo. Opera Program Scedule.